David Tennant - Shakespeare Live! David Tennant was the host of Shakespeare Live! on Saturday 23rd April 2016. 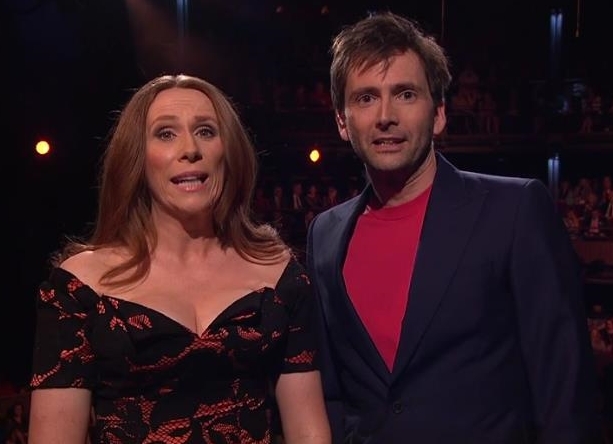 Catherine Tate co-hosted with him. It was broadcast from the Royal Shakespeare Theatre in Stratford-upon-Avon live on BBC Two and to cinemas in the UK and around Europe. This included 290 cinemas in the UK. The event marked the 400th anniversary of Shakespeare’s death and was described as 'a two-hour celebration that will come live from the Royal Shakespeare Company in Stratford-upon-Avon with a line-up including Judi Dench, Ian McKellen and English National Opera.' Other guests announced include Rufus Wainwright, Tim Minchin, Al Murray, Meera Syal, Alison Moyet, Sanjeev Bhaskar, Paapa Essiedu, Alexandra Gilbreath, and The Royal Ballet. It was broadcast as The Shakespeare Show in cinemas in the US on Monday 23rd May. Shakespeare Live! was released on DVD in the UK on Monday 30th May. The Royal Shakespeare Company will publish a book titled The Big Year on Wednesday 22nd March. 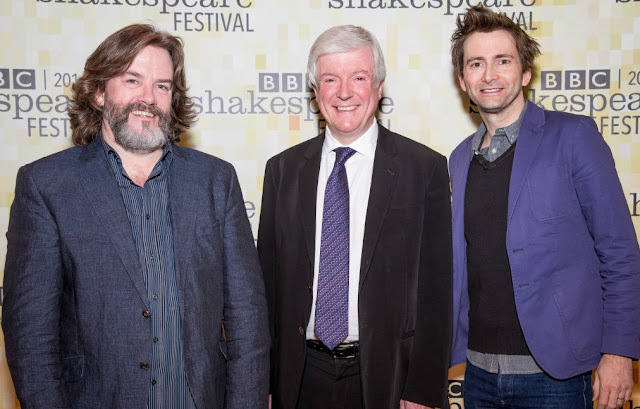 David Tennant is one of the actors included in BBC's Shakespeare Lives Festival today. The video of David Tennant, Benedict Cumberbatch, Prince Charles and a host of Hamlets has been posted to YouTube. 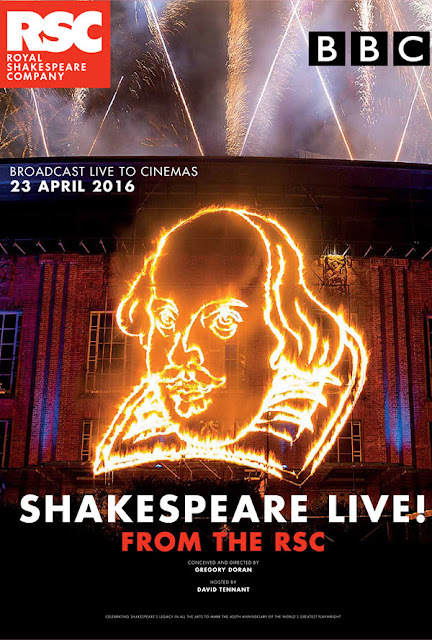 David Tennant hosts Shakespeare Live! from Stratford-upon-Avon tonight. The Royal Shakespeare Company has announced that David Tennant will host a live BBC Two broadcast to celebrate Shakespeare's legacy and Richard II will play in New York in 2016.